Gift of The Mark Rothko Foundation, Inc.
Mark Rothko, Kawamura Memorial Museum of Art, Chiba-ken; Marugame Genichiro-Inokuma Museum of Contemporary Art; Nagoya City Art Museum; Museum of Contemporary Art, Tokyo, 1995-1996, no. 49, repro. Clearwater, Bonnie. 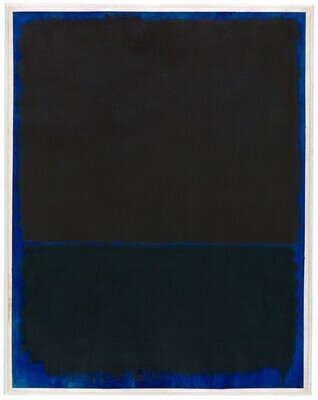 Mark Rothko: Works on Paper. Exh. cat. American Federation of Arts touring exhibition. New York, 1984: cat.no.76. "Mark Rothko". Exh. cat. Kawamura Memorial Museum of Art, Chiba-ken; Marugame Genichiro Inokuma Museum of Contemporary Art; Nagoya City Art Museum; Museum of Contemporary Art, Tokyo, 1995-1996: no. 49.